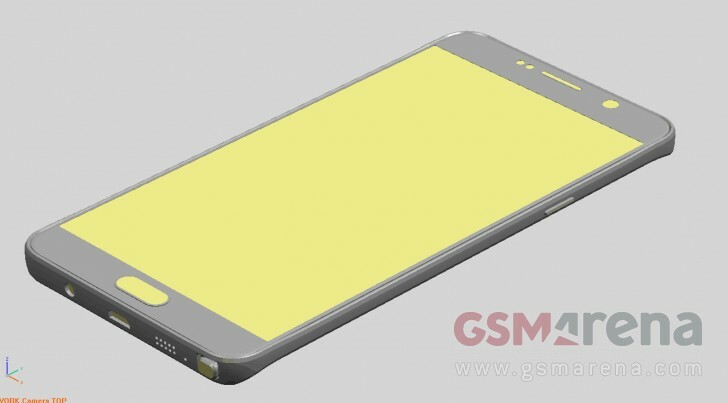 Yesterday we showed you a pretty extensive set of renders of the upcoming Samsung Galaxy Note 5, complete with precise dimensions and basic control placement. Today, another case maker has published its renderings confirming their authenticity. The Obliq bumper covers cost 34.99€ and comes in a total of five color options - white/silver, black/titanium, black/metallic gold, black/champagne gold and white/champagne gold. But, we are more-interested in the renders that accompany the said products. They do confirm basic control placement on the device and are in full color, but, other than that hold no additional information about the Galaxy Note 5. As a matter of fact, the sensor placement on the front of the device seems to be reversed and reminiscent of that on the Note 4 and Note 3, whereas all previous renders of the Note 5 tell a different story. This being said, the new pictures are more of an artist rendition based on sketches such as the ones we showed you than anything else. 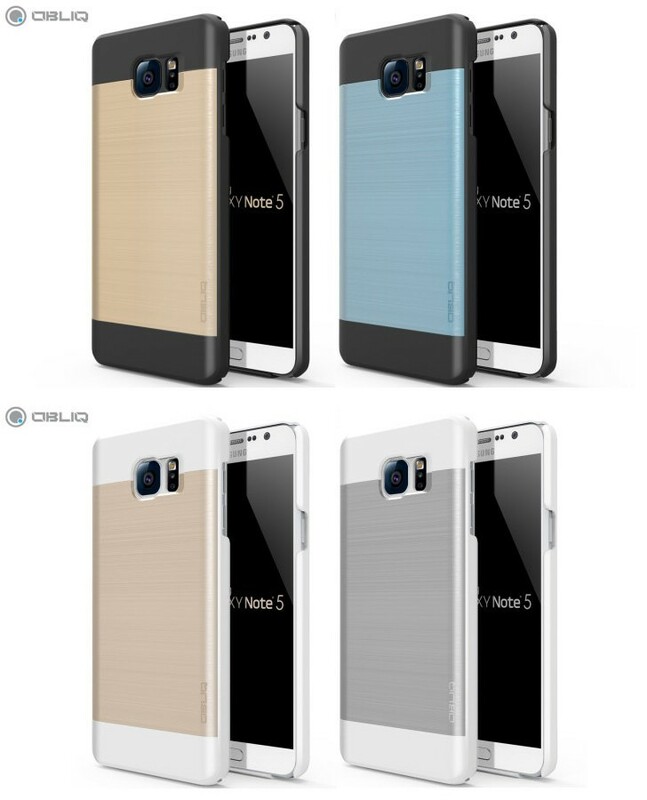 Also, the fact that the first stocks of the Obliq Slim Meta cases for the Note 5 are said to arrive in a week or two is yet another re-encouragement that Samsung is nearing the home stretch and an August announcement might take place. If the sam mobile obsolete sd card slot I phone will capture the major market share,because the difference and attraction of note seris is its big size and expandable storage , I am waiting to deside like others. No card slot,no infrared,no nonremovable battery what ever it may be..most buyer i know don't use its full capabilities its just for passion or accessories for them anyway..maybe to some.but I think not for many.